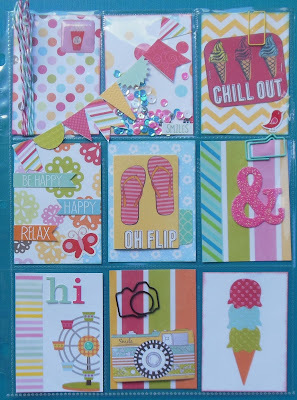 Hi All and welcome to the June Scrap Our Stash Blog Hop. 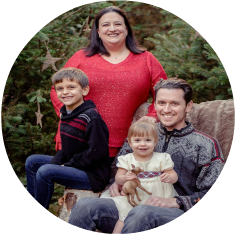 You should have arrived from Suzanna’s blog…doesn’t she do great work!? I choose to make a pocket letter for this months hop. I had a swap to fulfill so it was perfect timing. I used the 2012 Echo Park Collection Hello Summer for most of this letter. Three of the card embellishments (the flip flops, ice cream and camera) are from the Paradise Beach collection released the same year. 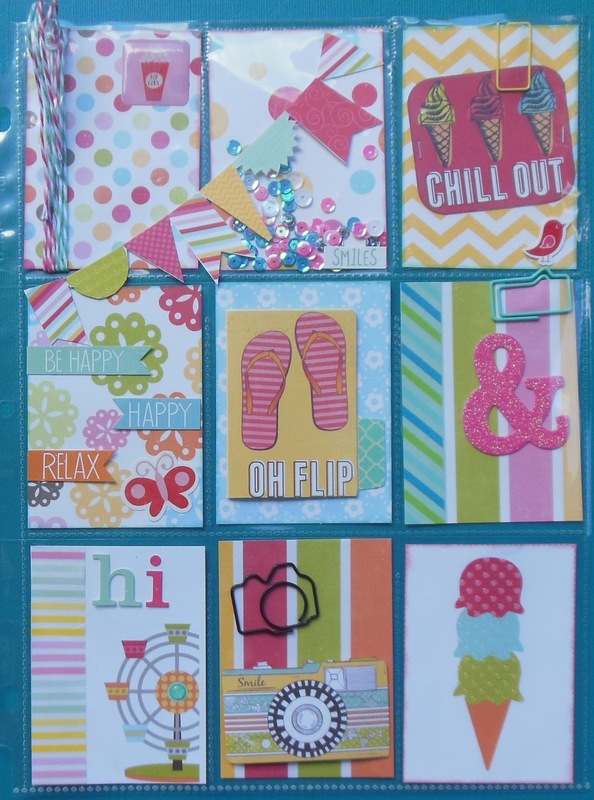 I did cheat a bit and the & symbol and the popcorn sticker on the top left card are from my Freckled Fawn kit. I used crystal lacquer on the ice cream card in the corner. Each scoop had dots so I put the lacquer on each of the dots…it gave a cool look and nice dimension to that pocket. My partner has already received this and I’m so glad she loved it. So now you’re off to Jennifer’s blog to see the amazing project she created. Until next time…Keep Scrapping! super cute!! I love the bright summery colors!! And the little embellishments are awesome! Love the fun colours and embellies on each pocket! Fabulous!! !